“Fix Reason firmly in her seat. . . . Question with boldness even the existence of a God. . . . Do not be frightened from this enquiry by any fear of its consequences. If it end in a belief that there is no God, you will find incitements to virtue in the comfort and pleasantness you feel in its exercise and in the love of others which it will procure for you.” I ask, how can our morals be rigidly bound by ancient texts rather than guided and modified by reason and compassion?”. This statement would terrify Michelle Bachmann. 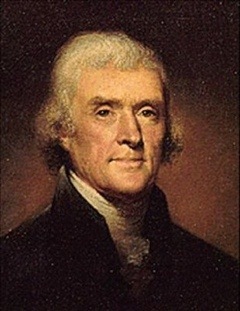 Jefferson, for merely having uttered it, would have been labeled a godless heathen & smeared out of government. Let’s face it. Us non-believers are the least likely to be elected. Does anyone ever consider the possibility this president or several others have maybe pretended to believe? I believe that probability is likely. It is troubling for those of us without religion how our leaders believe in such things as the Rapture or an afterlife of everlasting bliss and forgiveness. 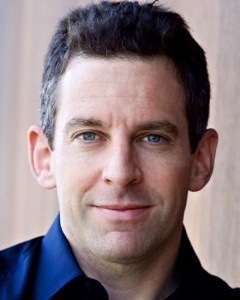 In my opinion (as stated by Sam Harris) “People who harbor strong convictions without evidence belong at the margins of our societies, not in our halls of power. The only thing we should respect in a person’s faith is his desire for a better life in this world; we need never have respected his certainty that one awaits him in the next.” These people are dangerous. Their beliefs are irrational and detrimental to the here and now. Live to make this world better, not some afterlife. Just in my lifetime, I wouldn’t be surprised if Obama and/or Clinton was/were atheists. If they are, it’d be nice if they said so in their memoir. It seems they are smart enough to at least question Christianity a bit.